Learning, training and performance support - Let’s work.it with Veracity. We’ve added information on our enterprise learning product. 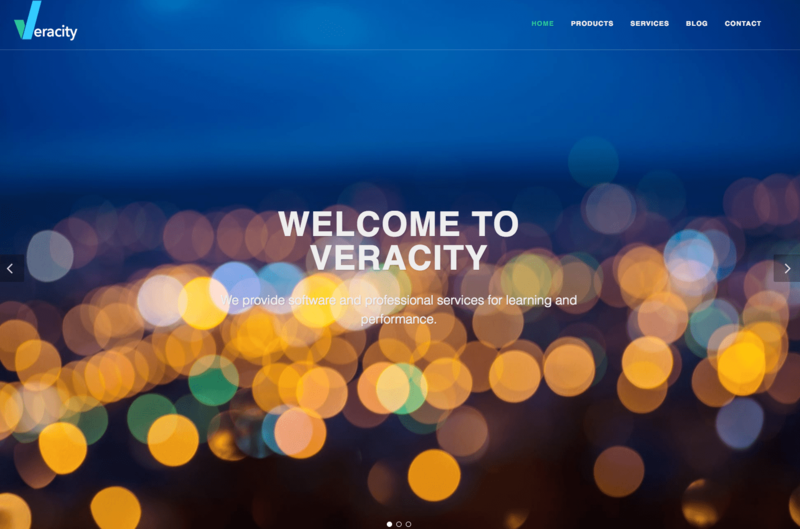 Veracity Learning, built on an xAPI-conformant LRS, will work with the xAPI-enabled activities and systems you already use. Not an xAPI expert? We’ve got you covered. Veracity Learning includes a whole set of getting started resources to get you up and running in no time. We’ve updated our list of services to include the things we’re most passionate about. We’ve also slimmed things down so it’s a bit easier to read. If you’re looking for learning technology services, look no further - we’ve got you covered. We have a lot to say these days and have been telling you about us on social media. To support our message, we’ve integrated a blog to tell you about what’s happening at Veracity, what’s new with xAPI, the existing work happening over at IEEE, and our thoughts on emerging learning technologies. You’ll see all kinds of great updates. We’d love to hear what you think. Contact us to provide feedback, inquire about Veracity services, or to get more information about Veracity Learning. Need some help with your learning environment? Let’s Veracity It together!